Abadas is a mixed media animation and live action series which introduces pre-schoolers to language through play. 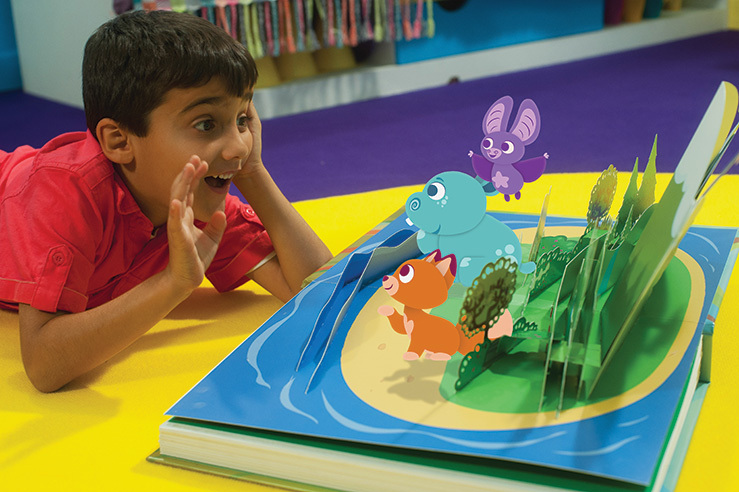 When six-year-old narrator Ben opens his cherished pop-up book, out of its pages leap three delightful animated characters – Hari the Hippo, Ela the Fox and Seren the Bat. Known as the Abadas, they live on an enchanted island in the middle of the book. At the start of each episode, Ben introduces an object and then helps the characters as they travel through the magical landscapes of the Abadas world in search of the word of the day. ABADAS ™ © 2012 Dinamo Productions Ltd. All rights reserved. Licensed by Hoho Rights.